L.L.L4L.L.L. : Work together for the common good. Work together for the common good. In "United we stand or do we?" Jude O'Connell asks many very important questions of teacher librarians. Where do you stand? Is your local or state group promoting the national needs of teacher librarians? We need to work together. IT IS TIME!! 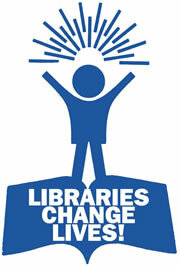 Please help to encourage the Government to table the report: School Libraries and Teacher Librarians in Australia. It would be so sad to have all the effort that went in to arranging the report, developing the 380 + submissions, the interviews conducted by the Inquiry committee all over Australia and the hours and hours of discussions and formulations of the final report.....and then NOT get it tabled!! We need it tabled and the recommendations undertaken. Anne Girolami, ALIA Schools Convenor wrote to ALIA School Group members encouraging them and all their associates and friends to push for the "School libraries and teacher librarians in 21st century Australia Report" to be tabled in Parliament. We have been advised that we need to make a louder noise for the Report be placed on the Parliamentary agenda. It is vital that the office of the Minister on Education and Employment takes notice of our concern. Therefore this next action, in the campaign, is to post a bookmark to Canberra. What do you need to do? Simply print the file below. It contains a template of the bookmark and a letter explaining the reason for this action. Follow the instructions provided in the letter making sure youinclude your signature and address. Unsigned bookmarks will not be recognised by the Minister’s office. Feel free to use colour paper or to add some colour to the text. Please do not change the words. There is an urgency to ‘make this noise’ as we only have a three week window of opportunity. The sending of the bookmark, which takes no more than 15 minutes to complete, needs to be undertaken by Monday 10 October 2011. We strongly urge you to post the bookmark and to encourage everyone you know, from any place in Australia, to send it too. Everyone’s single act, together, will create the postal avalanche which is needed. Please give some of your valuable time to do this. ASLA What a difference a school library makes.